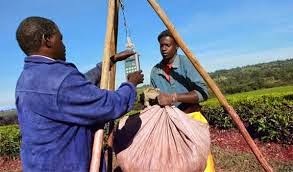 Regional tea auction at Kenyan Coastal city, Mombasa dropped 5.4 percent in sales with farmers selling lower volumes than. Kenyan tea was sold at USD 1.91 per kilo compared to USD 2.34 per kilo a similar period last year. Similarly, farmers from the country offered 6.4 million Kilos to sell 5.8 million of regions total offering at 9.2 million kilos of tea between June 30 and July 1. Compared to 9.7 million kilos last year, 0.5 million less was taken for auction as featured in African Tea Brokers ltd latest report. However, between the review period, farmers in the region only sold 8.2 million kilos and went back home with 1 million kilos.